It was just a matter of time when Apple introduced it’s heir to the MacBook throne in terms of looks and portability. It seems that competition overheated between Apple and its nemesis, Microsoft. Last year. Microsoft introduced its Surface Pro 3 which proved to be a thin, portable machine which had all aspects to show off. Since the introduction of MacBook Air, it seems Apple wasn’t satisfied with thinness and portability. Hence, Apple launched another sophisticated beast to tackle any possible competition that might arise. Microsoft with its Surface Pro 3 on the other hand did not rest to down show the MacBook Air and iPad in many of its promotional advertising. On a different perspective, Microsoft seemed to look for a challenge which Apple gracefully accepted and hence came the 12-Inch MacBook Retina. The MacBook is an innovative product with forward thinking that fits perfectly in Apple’s ecosystem. Apple deems to create products that are moving closer to the mobile industry and productivity. To stack these two high end notebooks together, here is a direct comparison of the MacBook and Surface Pro 3. When talking about the Surface Pro 3, its design has always been distinct and appealing to many customers who might look at it for the first time. This was a huge launch which dug the ground for Microsoft’s image. 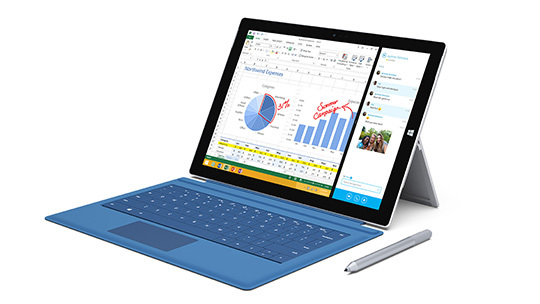 The surface Pro 3 is a multi-gadget, combining the characteristics of a full fledged notebook but packed in a tablet. This 2 in 1 approach held Microsoft for a long while. The high end feel of this tablet is all thanks to the tapered edges painted in silver. This display was one of the best in market and still passes the number over many of other tablets and laptops. The high definition 12-Inch display with a resolution of 2160 by 1440 has sharp color reproduction and marks its way to being the perfect device for media consumption and other uses. Surface Pro 3 is has dual speakers with a touch sensitive Windows soft key laying perfectly symmetrical. Since it runs Windows and built on laptop architecture, it has vents to breathe to cool down the system. Even the base line model has powerful internal specification for a tablet, a core i3 Processor, 64 GB of storage capacity and 4GB of RAM. All this for a mere $799. Microsoft has turned the Surface Pro 3 to the best notebook running Windows by accessorizing it. You can always use a drawing stylus with keyboard and a kickstand to give it more like a notebook like feel. 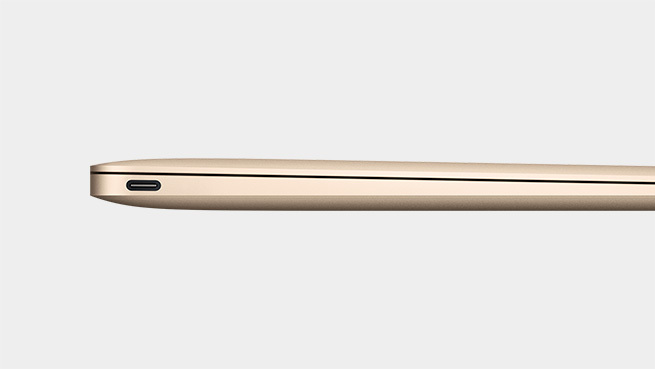 Apple on the other hand has crossed all boundaries with a notebook so thin that it almost feels unreal. The MacBook is not a tablet nor has any internals like one but still has the best looking design with ultr portability feature. 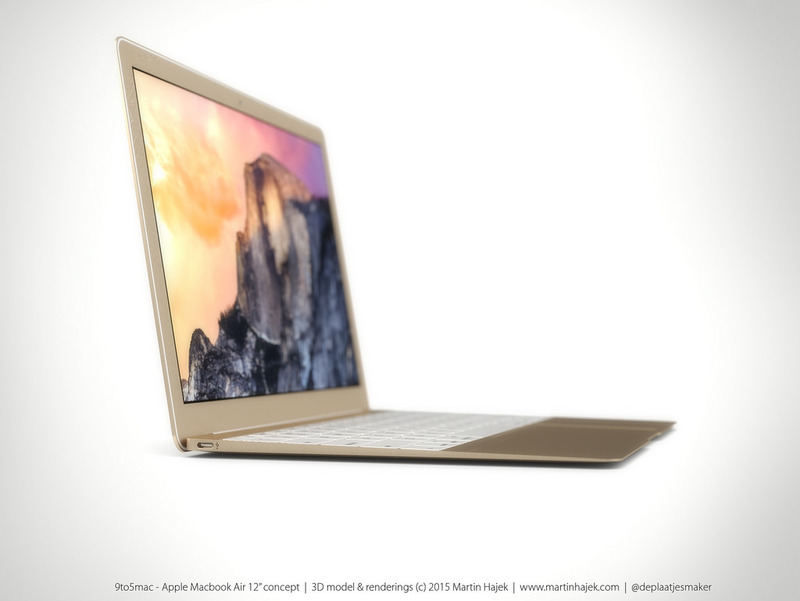 The MacBook has a 12-Inch LED display which is dominated by the resolution of 2304 by 1440. The internals are packed with a 1.1GHz, dual core Core M Processor which has the potential to turbo boost it to 2.4GHz if it needs an extra hand in the power category. There are no storage variants in the MacBook and every model comes with a 256GB of space and 8GB RAM, making it more advantageous over the 64GB Surface Pro 3. Apple has chosen a different strategy for it products, making every inch of them to come to mobile because the older version MacBook feels like the ruins of a forgotten era. Hence, change is what? Good! Moving closer to the mobile industry suggests that same applications can be accessed on cross-platform devices. The reason that 12-Inch MacBook is extremely thin is because of its seamless design which had support of the fan-less structure of the internals. This means that the MacBook has no potential to get hot as other notebooks that require a fan to cool down. The MacBook design is taken from the landmarks of the iPhone as well as the iPad which gives it a stunning yet much lighter look and feel. Most of has great uses for the USB ports and MacBook is not made for them. It only resides a USB type-C port which can be used for multiple ports including Apple’s magsafe technology. The ports are diminished to thin the MacBook and by far, Apple has succeded. The keyboard keys have been altered to use the butterfly hinge rather than scissor which was present in previous stock MacBook design. Another new technology that Apple got its hands on is the Force Touch. The force touch technology is part of the trackpad to eliminate spaces under it and replacing it with a taptic engine that vibrates every time you force tap the trackpad, giving a more press-like feel. Apple is also investing on new wireless technologies to run cross platform like the Wi-Wi 802.11 ac and Bluetooth 4.0 which are built in to the new MacBook. The Surface Pro 3 becomes a bigger purchase when you add on the keyboard and Core i5 processor with 256GB on board storage making it cost $1299. With that stated, the Surface Pro 3 line up is still no match for the MacBook even with a $125 addition. 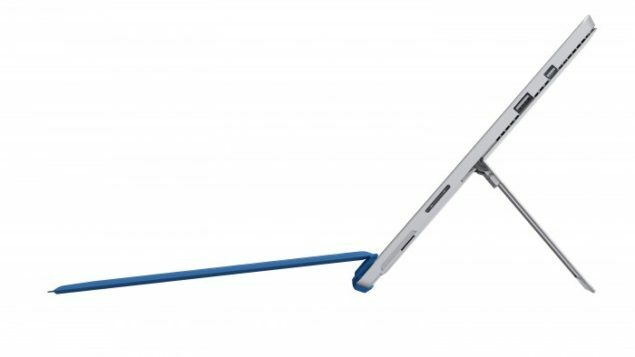 However, the Surface Pro 3 has more versatile design features like outnumbered ports compared to the new MacBook and OS X users would definitely opt for the MacBook. At this point alone, we can say that Microsoft has more hardware advantages than the MacBook. This is all for now, let us know in the comments whats your personal favorite considering utility and design. Microsoft Surface Pro 2 Vs. Microsoft Surface Pro 3 – Which Is The Better Buy?